The environment represents a constant threat to the genetic material of all living organisms. Radiation and many chemical agents interact with DNA and cause a great variety of lesions. In addition, DNA undergoes spontaneous damage such as base loss, chemical alteration of bases and replication errors. All these lesions affect the coding integrity of the DNA and may trigger chromosome changes such as mutations, recombination, rearrangements, chromosome aberrations or gene amplification. The cell’s capacity to repair or tolerate these lesions is essential for genomic stability. Various enzymatic mechanisms are involved in the assurance of the integrity of DNA (Hanawalt et al. 1979; Friedberg 1985). A number of hereditary diseases predisposing to malignancy in humans involve deficiencies in processing DNA lesions (see Chap. 4). 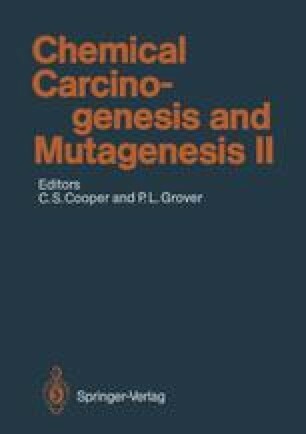 Moreover, it is becoming quite clear that unrepaired lesions which lead to mutations play a role in the activation of proto-oncogenes (see Chap. 12).